Here at Fishbone Knives we strive to provide affordable fishing and kitchen cutlery. With the launch of our SPECIALS page you can look forward to weekly promotions that can help save you even more money and get you those knives you've really wanted. We deal with a lot of knives so you can expect to see some big clearance and overstock sales. Shop our Annual Inventory Reduction Clearance Sale and Save Big on over 30 of your favorite brands now! Final discount price is cart level, so make sure to add items to your cart to see the "final discount price"
Grab the best knives from Bubba Blade and take a look at some Bubba Sets that we put together here at Fishbone Knives! Fishbone Gift Certificates are PERFECT for any occasion. Many people give them as gifts for the holidays, which is a great fit for everyone. Our boards are made of top quality sustainable hardwood, treated only with all natural food safe products and made to last for generations just like our cutlery. 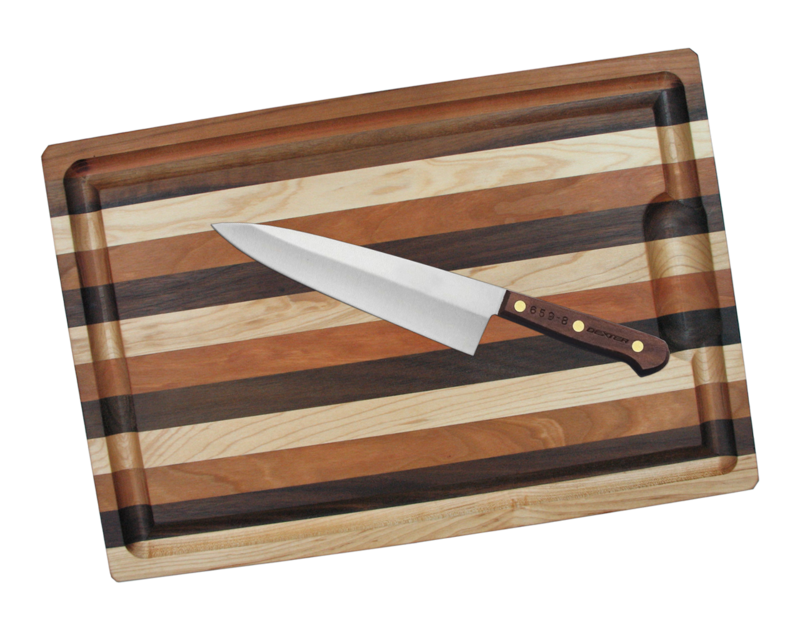 Also, just like our cutlery you can be sure our boards are Made in the USA.